PopSugar’s first large experiential tent-pole initiative engaged their millennial-minded, female-focused audience with a one-of-a-kind playful expo inspired by school playgrounds. By focusing on the interconnected nature of happiness through a balance of play and purpose, The Gathery created a unique aesthetic, throwing out millennial pink, embraced high art play-sculptures and hand-drawn neon signage. Racing stripes provided the common thread and guided guests through an endless path of discovery in the vast halls of Pier 94. 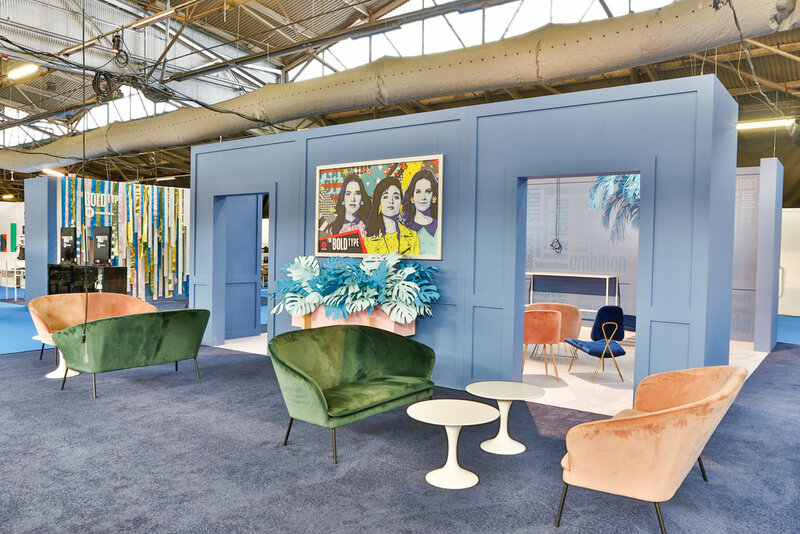 Two stages, color-coordinated lounges, food stations, a shop, and one epic slide were almost rivaled by the twenty-one sponsor activations - ranging from brands like Adidas to Covergirl - designed for the inaugural PopSugar Playground.